Description: 4Easysoft Free PDF File Viewer is a user-friendly PDF Viewer, which can help users open any PDF files without installing any other software. This PDF Viewer can read and show PDF files. Also, it has a toolbar with a lot of nice features. You can rotate, zoom, view in multiple view mode, print and mail a PDF and so on. Description: 4Easysoft Free PDF to GIF Converter is specially designed for all PDF users to help them to convert PDF files to GIF file page by page. Besides of the basic converting functions, you can also define output color and resolution. Also, this Free PDF to GIF Converter supports many languages, including English, French, German, Italian, Portuguese, Spanish, Czech, Russian, Slovenian, Swedish, Danish, and Greek. 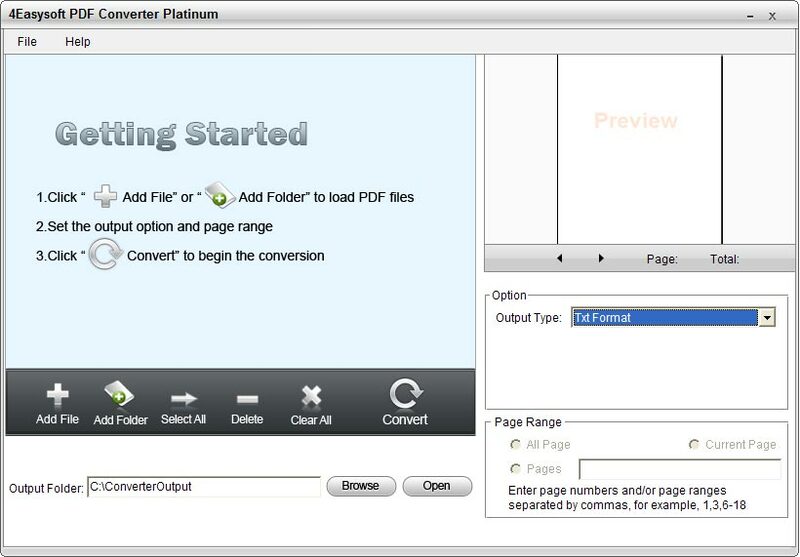 Description: 4Easysoft PDF Converter Platinum is a professional PDF file converting software, which can convert PDF to various text and image formats, including word, txt, rtf as well as JPEG, GIF, BMP, PNG and other popular formats. Also, this professional PDF converter totally supports multiple language. 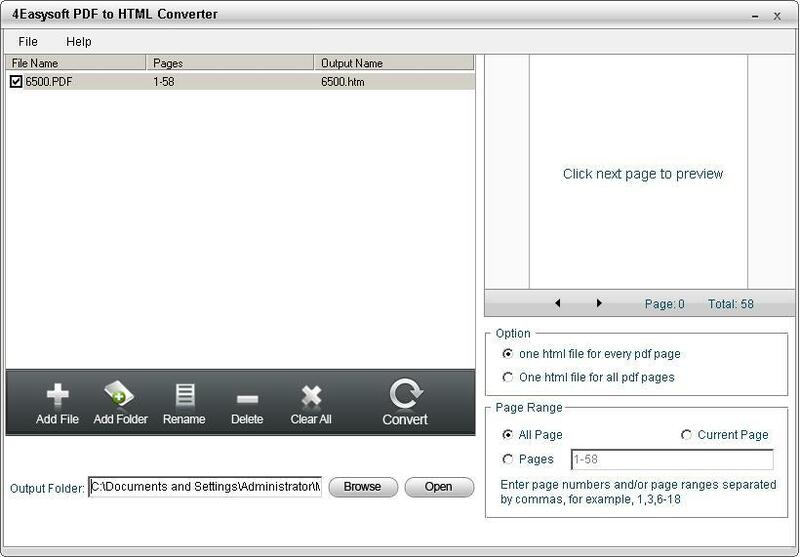 So, with it, you can convert all PDF pages, current page, or specified pages by entering page numbers or page ranges. 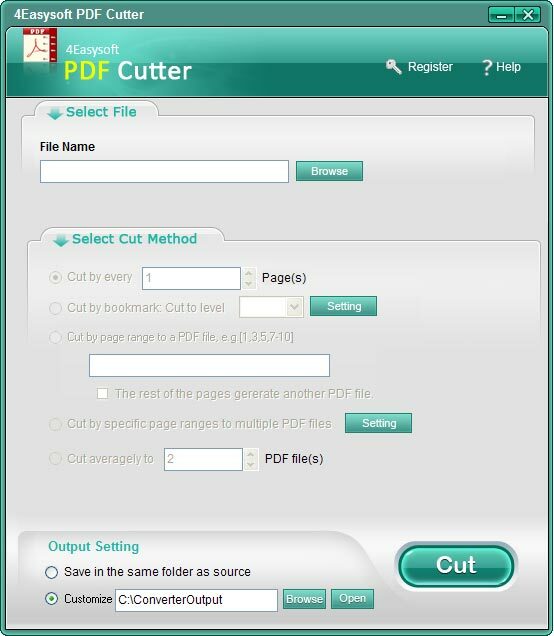 Description: 4Easysoft PDF Cutter can cut PDF file as above mentioned, but also can cut PDF file by n page(s) and bookmarks. Also, it enables you to merge specific pages of original PDF file to create a new PDF file. What's more, you are allowed to divide PDF file averagely to several PDF files with same page numbers. 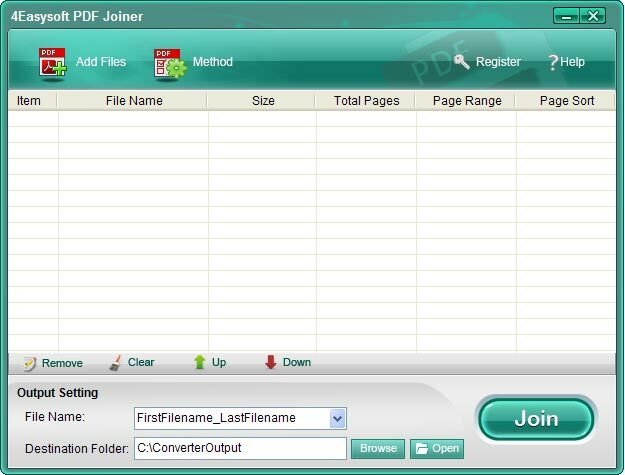 Description: 4Easysoft PDF Joiner can not only help you join any selected PDF pages of multiple PDF files to a new one, but also enables you to arrange page ranges and page sorts at random to output PDF file. In addition, you need not to preinstall Adobe Reader or Acrobat. Plus, its language-supporting function is very powerful, therefore, you can read multi-language PDF files, including English, Turkish, Thai, Latin, Korean, Greek, Cyrillic, Arabic, etc. 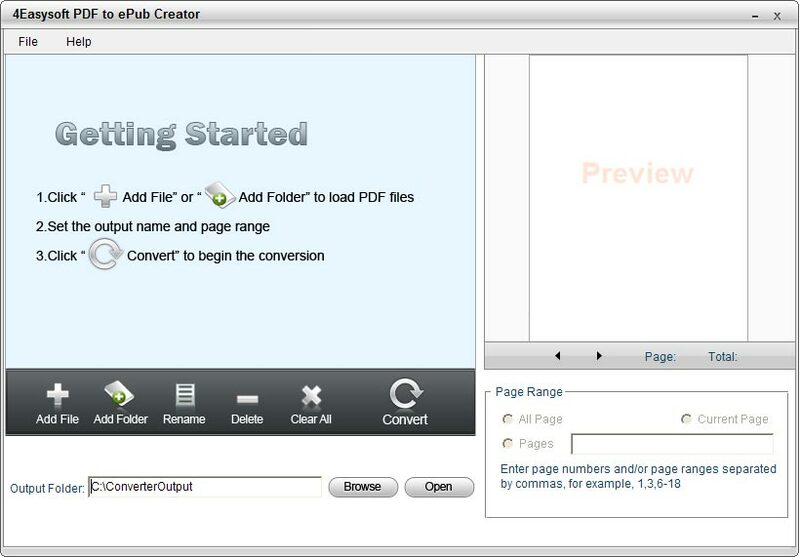 Description: 4Easysoft PDF to ePub Creator is a standalone and versatile PDF to ePub Creator, which can convert PDF files or eBooks to ePub format, and can support iPad, iPhone, iPod touch, etc. With it, you can enjoy many eBooks without any limitation of digital devices. Moreover, this PDF to ePub Creator has simple settings and intuitive interface to make it easy to use, adding to fast conversion speed and the function. Description: 4Easysoft PDF to Flash Converter, the fantastic PDF to Flash Converter, enables you to convert PDF to SWF format with prefect output quality. Furthermore, it can preserve original layout, text, images of your PDF files. Also, you can arbitrarily choose specific page(s) or all pages of PDF file to convert. 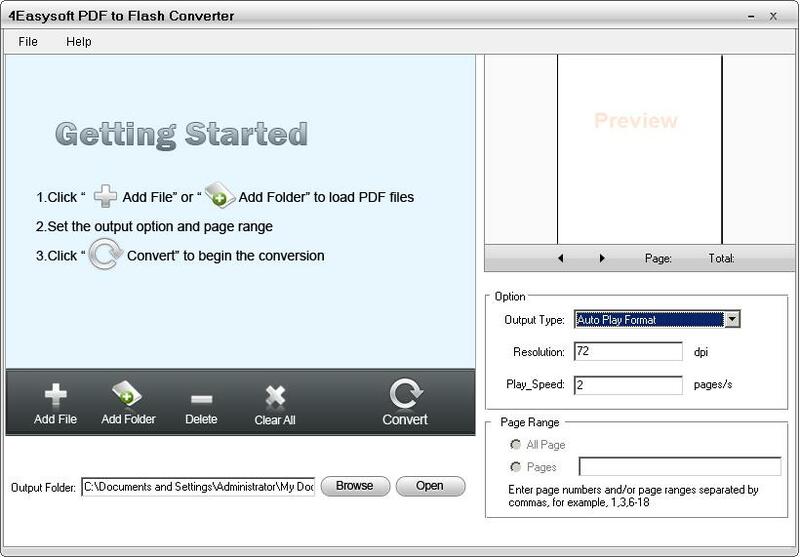 In addition, this PDF to Flash Converter has fast processing speed and simple operation, which will help you smoothly enjoy it! Description: 4Easysoft PDF to HTML Converter is an excellent and affordable PDF tool,and it can help you freely choose to convert one html for every pdf page or all pdf pages. In addition, you can define page range to be converted at random. Also, this PDF to HTML Converter supports many languages, including English, French, German, Italian, Portuguese, Spanish, Czech, Russian, Slovenian, Swedish, Danish, and Greek. Description: 4Easysoft PDF to Image Converter, a professional PDF to Image converter, enables users to easily convert PDF files to various image formats , including JPEG, PNG, GIF, BMP, PCX, TGA, TIFF. And the output image quality will be perfected. Except for the basic functions of converting , you can also define the image quality, output color and resolution. 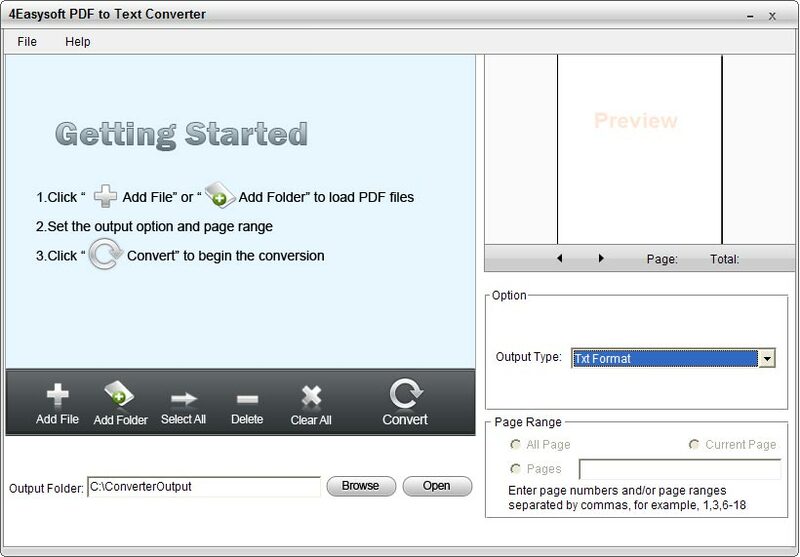 Description: 4Easysoft PDF to Text Converter is a fantastic PDF converter. It not only enables users to easily convert PDF files to txt format, which is supported in many eBook Readers, but also can help users choose the PDF page range to be converted by inputting the page range or the page numbers. And this PDF to Text Converter supports multi-language PDF files.